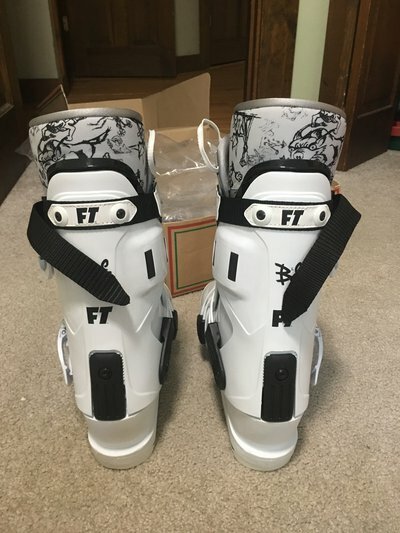 2 Pairs of 28.5 2018 Full Tilt B&E Pro Ski Boots and Head/Tyrolia Wide LD Brakes 97mm LOWERED PRICE!! 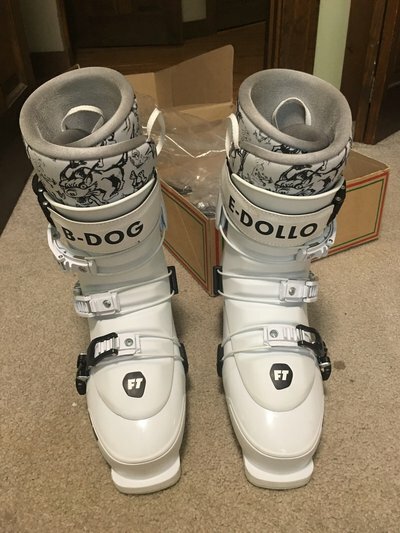 Hey Newschoolers, I'm selling brand new pair of 28.5 2018 Full Tilt B&E Pro LTD Ski Boots and my Head/Tyrolia LD Mojo (and Attack Demo) Wide Brakes 97mm. If you have any questions or would like more pictures, feel free to DM me. I'll also throw in a few stickers with each product purchased. For all these products shipping and the tracking number is not included in the price. 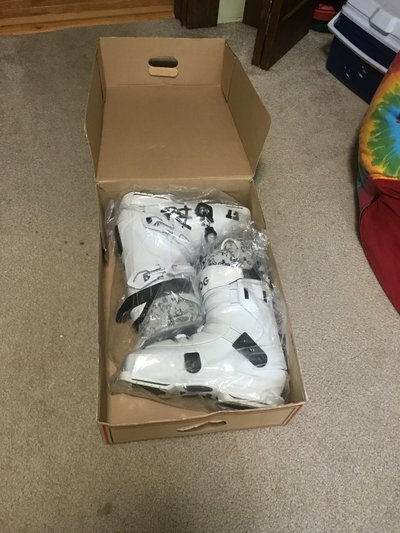 I got these boot for last winter and only skied in them twice. 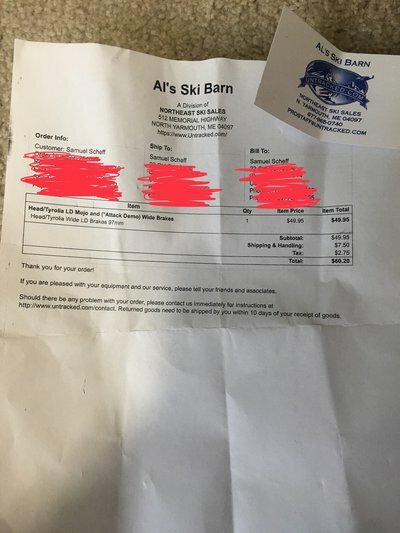 On the second day of skiing, I caught one of the buckles on a tree, bent it and blew out the risers in the back. 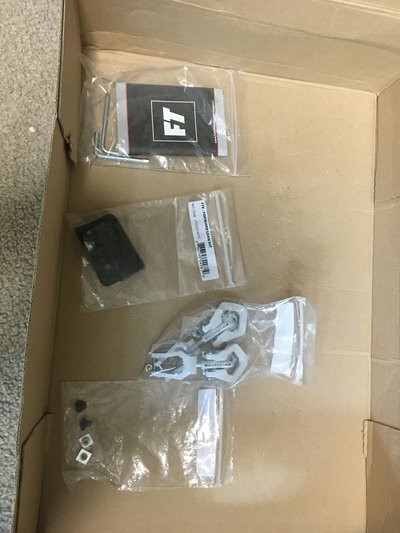 I emailed Freeze Pro Shop asking them if they could hold up their warranty by sending me a new buckle. 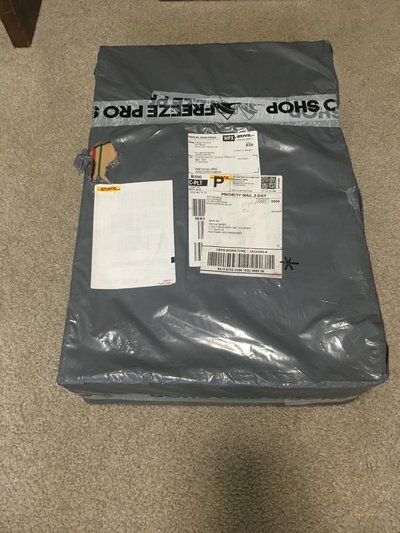 Instead, they decided to send me a new set of the same boots. 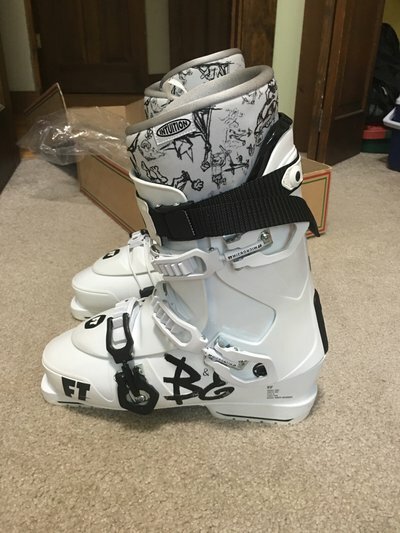 But while I was waiting for my boots to come through the mail, I borrowed my friend's extra pair of 27.5 Soloman SPKs. 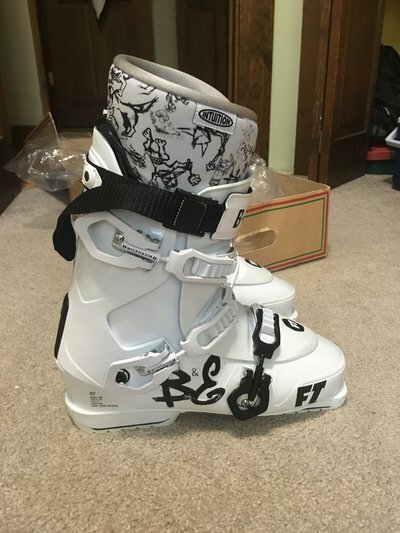 I liked them so much and they fit so well I decided to buy them off him and use them for the rest of the season. I haven't used the B&E's since. They're beautiful boots and I hate to see them collect in my closet. 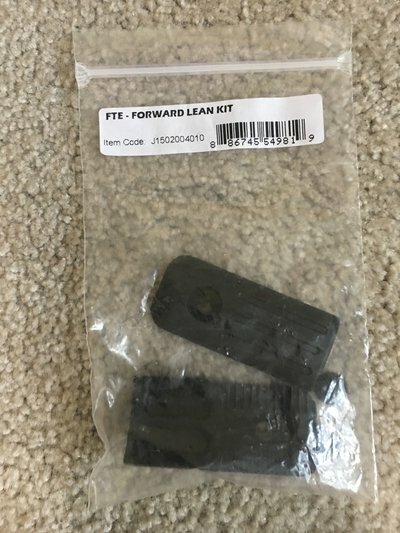 In the last month, I've replaced the old front buckles with new black ones, a new forward lean kit and clean any regular wear and tear so they look barely used. 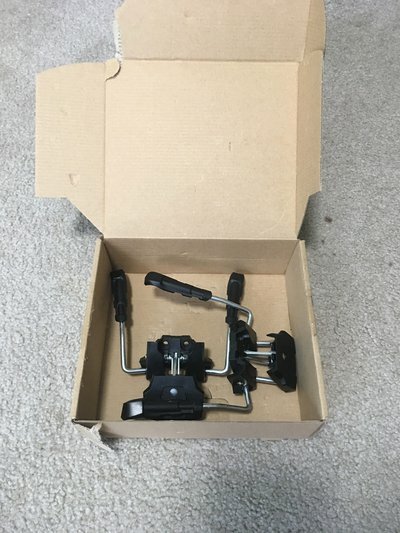 I'll also throw in another lean forward kit, the old buckles, and extra screws and bolts. 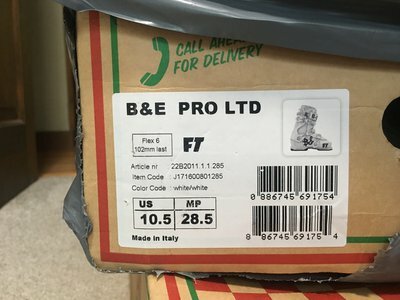 These are the brand new B&E's that Freeze Pro Shop sent me through their warranty. 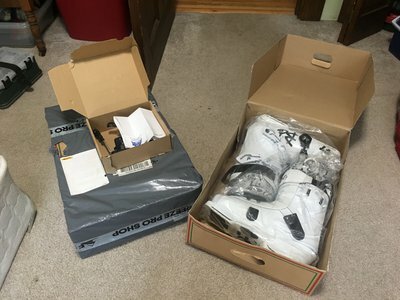 I've never opened the package minus a small tear in the plastic to confirm that they were the same boots; which I will tape up before sending them. 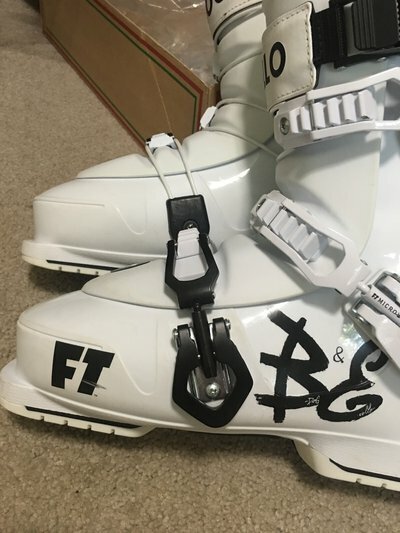 I bought this breaks last fall to put on my new Armada, but when I brought them to my shop, the guy installing the bindings said he could make my old brakes work so I just had him use those. I never had the time to ship them back to where I bought them so they've sat in my room until now.